This weekend, the screening of Kim Nguyen’s The Hummingbird Project brought the 48th edition of International Film Festival Rotterdam (IFFR) to a close. The festival screened 539 films, of which 146 (festival) world premieres, presented within the four sections Bright Future, Voices, Deep Focus and Perspectives. Reaffirming its commitment to the visual arts in the extensive Art Directions programme and putting an extra focus on the Talks & Masterclasses line-up, 48th IFFR guided visitors into areas beyond the strict definitions of what film can be. IFFR welcomed over 2400 film professionals from 51 different countries – 329 of them film directors. The festival opened on 23 January with the world premiere of Dirty God by Dutch filmmaker Sacha Polak. Over the course of twelve days, IFFR devoted special attention to a new generation of filmmakers, often presenting their first or second film. The films in Tiger Competition were presented on eight consecutive days for the full attention of the press and the public. Several films secured international sales deals (Koko-di Koko-da, Sons of Denmark, and Special Jury Award winner Take Me Somewhere Nice, among others). Brazilian Tiger nominee No coração do mundo is available on MUBI for thirty days (read more here). The Ammodo Tiger Short Competition showcased 24 short films. Some musical highlights included the screening of The Seven Last Words with its Haydn score performed live by the Callino String Quartet; a screening of Inner Landscape combined with a performance by Chinese opera star Shen Tiemei; and Edgar Pêra’s Lovecraftland – Cine-Koncerto 3D, a ‘cinekoncert’ with live music by The Legendary Tigerman as part of the retrospective dedicated to the experimental Portuguese filmmaker. Keeping up its reputation as a place where filmmakers and audiences meet eye to eye, IFFR 2019 upped its efforts by presenting a wide range of Talks and Masterclasses. Claire Denis was in Rotterdam to talk about her remarkable cinematic style and her latest film High Life; Carlos Reygadas discussed the uncompromising lyricism of Nuestro tiempo; Jia Zhangke looked back on the rise of Chinese independent cinema and the creation of his Ash Is Purest White; Cliff Martinez gave an insight into his work as a composer on films such as Drive; Nicole Brenez walked the audience through the creation of Jean-Luc Godard’s Le livre d’image; Gabriel Martins did a masterclass on the new wave of Afro-Brazilian cinema and his new film No coração do mundo; Agnieszka Holland gave the annual Freedom Lecture, calling for solidarity with filmmakers at risk; and Nina McNeely, choreographer for Gaspar Noé’s psychedelic dance film Climax, gave a talk and a dancing workshop. Noé himself was also in Rotterdam to attend the Dutch premiere where he joined several dancers from the film for an impromptu dance performance. 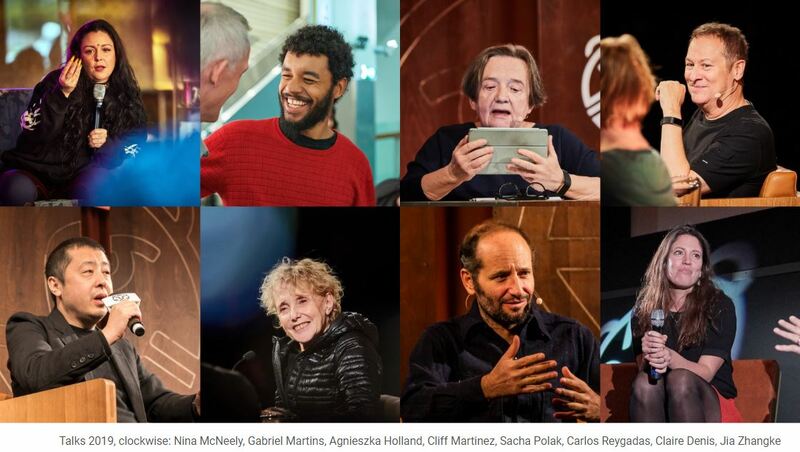 Other talks included conversations with screenwriter/author Guillermo Arriaga, visual artist Alfredo Jaar, and filmmakers Sacha Polak, Roberto Minervini, Khalik Allah, Kenneth Mercken and Sergei Loznitsa, and a range of panel discussions giving extra depth to IFFR’s thematic programmes. Several of the talks were streamed live on Facebook and YouTube. In its Perspectives section, IFFR 2019 approached cinema from specific angles through five thematic programmes: Rabbit Hole explored how filmmakers and artists use the visual language of memes in cinema and the online realm; Laboratory of Unseen Beauty showed the (un)finished, re-invented, re-edited materials from 1921 to the present day; Soul in the Eye explored Zózimo Bulbul’s legacy in the contemporary emergence of Afro-Brazilian cinema; The Spying Thing deliberated spying as a way of filming, and the camera as an espionage tool; and Say No More rediscovered the compelling sensation of collective viewing, and the notion of togetherness in silence. Art was present in many forms at IFFR 2019. Following up on last year’s SLEEPCINEMAHOTEL by Apichatpong Weerasethakul, IFFR’s Frameworks programme asked two renowned names in art to present new works and to introduce two upcoming talents, known as the ‘Acolytes’, each of whom received a €10,000 grant to finish a single-screen art piece. French artist Philippe Parreno came to Rotterdam to create No More Reality Whereabouts, a new project combining 20 years of existing and re-edited footage to create a ‘film of films’ including 3D elements and a live score by famed pianist Mikhail Rudy. Parreno also introduced Acolyte Asad Raza, a post-disciplinary artist who showed a loving portrait of his uncle in Minor History. IFFR screened Jean-Luc Godard’s latest film Le livre d’image in a specially designed intimate environment he intended for it, and presented the interactive and visually investigative work of Acolyte Fabrice Aragno. Further crossovers between the film and art worlds came in the form of the short films and magic lantern performances by Charlotte Pryce, the short films and performance by Cauleen Smith and the artworks by Mika Taanila. In the exhibition Temple of Cinema #1: Sayat Nova Outtakes, restoration expert Daniel Bird presented mesmerising, never-before-seen outtakes from Sergei Parajanov’s The Color of Pomegranates in a thought-provoking setting in the Arminius church. Francesca and Mica Levi came to Rotterdam to present their own version of this seminal film. (The restored version of The Color of Pomegranates is now available on IFFR Unleashed) The well attended Blackout exhibition in the Kunsthal Rotterdam brought together a range of international artists who use the carousel slide projector in new artworks to highlight forgotten histories. The award winners at 48th IFFR showcased a thirst for new directions in cinema. Zhu Shengze won the Tiger Award with her Present.Perfect. which according to the jury “takes us to places where we have never been” and “expands the language of cinema to a new grammar”. Ena Sendijarević’s Take Me Somewhere Nice won the Special Jury Award for “portraying a journey through a unique and very precise personal vision”. Aya Koretzky’s A volta ao mundo quando tinhas 30 anos won the Bright Future Award, Anna Eborn’s Transnistra won the VPRO Big Screen Award, Nadine Labaki’s Capharnaüm won the BankGiro Loterij Audience Award, and Elmar Imanov’s End of Season won the FIPRESCI Award. For an overview of all winners and jury reports, click here. 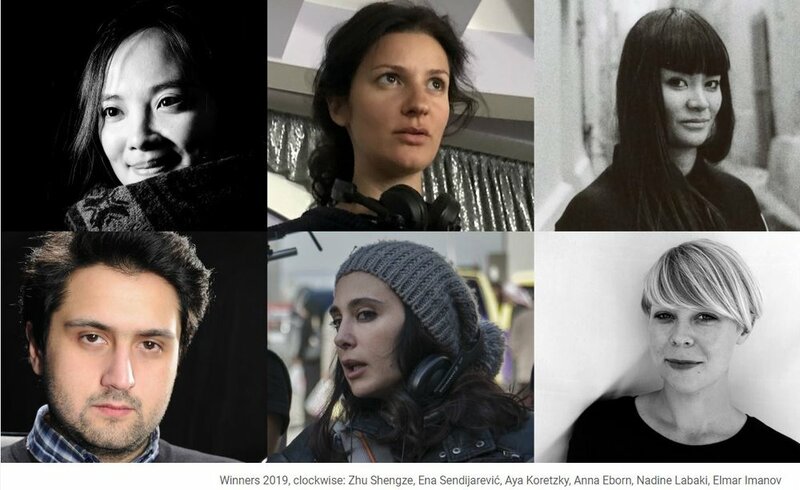 On Sunday 27 January 2019, a three-person professional jury announced the three winners of this year’s Ammodo Tiger Short Competition. The winning films are Freedom of Movement by Nina Fischer and Maroan el Sani, Wong Ping's Fables 1 by Wong Ping and Ultramarine by Vincent Meessen. They won three equal Ammodo Tiger Short Awards worth €5,000 in prize money. Freedom of Movement has also been selected as IFFR’s Short Film Candidate for the European Short Film Awards 2019. Click here for an overview of the selection and winners. The second instalment of the Reality Check conference tackled the thorny subject of development; how filmmakers can exploit their own content and the variety of new platforms to the benefit of all. There were panel discussions, diverse speakers (including visual artist Caroline Monnet) and a wide range of industry professionals attending. The 36th edition of CineMart presented 16 projects in the making and welcomed 580 guests. The on-screen harvest at IFFR 2019 was plentiful – no less than sixteen feature films previously supported by the Hubert Bals Fund (celebrating its 30th anniversary this year) or presented at CineMart were shown at the festival. Four virtual reality projects were presented during the VR Days event and 60 producers participated in Rotterdam Lab. IFFR’s education programme has increased its reach once more. From toddlers to university students, the different education screenings, workshops and specials are for all ages. Thanks to a new collaboration with Movies that Matter Festival in the context of a screening of Rafiki, an increased number of vocational students were reached. The activities ranged from watching and discussing films to programming, organising masterclasses and reporting on the festival. The IFFR Academy programme, which supports young filmmakers in kickstarting their careers, worked together with international organisations for the first time. Together with our main partners we organised several events – vfonds hosted an inspiring Vredescollege (lecture on peace) for students, opened by Hélène Christelle Mungayende, as well as the Freedom Lecture by Agnieszka Holland; BankGiro Loterij adopted the Audience Award for the first time this year and welcomed their loyal supporters for a special screening; and, like every year, the Volkskrantdag welcomed thousands of visitors for a full day of film.IFFR expanded its educational programmes thanks to the support of several funds including Fonds 21 and VSBfonds. Rotterdam brewery Kaapse Brouwers, new partner of IFFR, developed the special Kaapse Tijger lager beer exclusively for the festival. New partner BMW provided the festival with plug-in hybrid and electric cars to transport festival guests. For an overview of all the partners and benefactors, see the colofon. 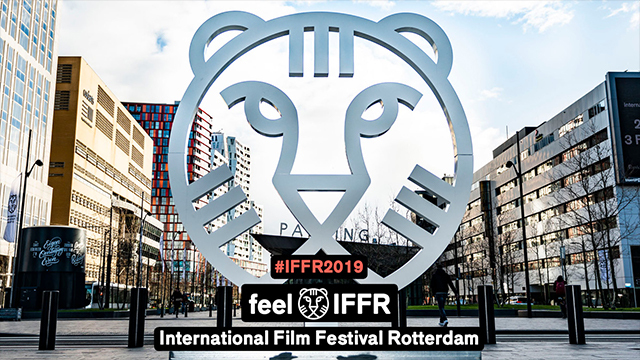 The 49th edition of International Film Festival Rotterdam will be held from Wednesday 22 January to Sunday 2 February 2020.